Home Tags Posts tagged with "closing ceremony"
Russia finished on top of the medal table as the 22nd Winter Olympics came to a close in Sochi on Sunday after 17 days of competition. International Olympic Committee (IOC) president Thomas Bach officially closed the Games during an extravagant 130-minute ceremony. Russian President Vladimir Putin celebrated a rush of medals in Sochi with a triumphant closing ceremony on the shores of the Black Sea. After spending $50 billion to build a mountain ski resort and a cluster of shimmering sports venues from scratch, failure was not an option for the omnipresent Russian president. At the opening ceremony a fortnight ago, all the talk was of security fears, culls of stray dogs, last-minute glitches and a giant hydraulic snowflake that failed to open. But by the closing ceremony – which featured ballet from the Bolshoi, music by Rachmaninov and tributes to Tolstoy and Kandinsky plus the usual protocol – the atmosphere was one of pure celebration swathed in the colors of the Russian flag. IOC President Thomas Bach declared the most expensive Games in history “a real special experience”. He also personally thanked Vladimir Putin for his contribution to the “extraordinary success of these Winter Games”. The opening ceremony had been a pleasingly offbeat romp through Russian art and culture. With its marching bands and 1,000-strong children’s choir singing the national anthem, this was more of a traditional show of strength. For the Russians who wildly cheered a clean sweep of the podium in the 30 mile cross country skiing and a second gold in the bobsleigh for Alexander Zubkov on the final day of competition, a surge of sporting success helped it go with a swing. The Russian ice hockey team had limped out of the competition to Finland at the quarter-final stage, leaving Canada to triumph over Sweden in Sunday’s final. 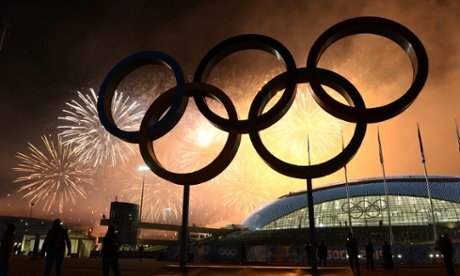 Sochi 2014 Winter Olympics closing ceremony will be held on February 23 at 20:00 local time, at the Fisht Olympic Stadium. The closing ceremony will feature the parade of athletes, the extinguishing of the Olympic flame and the official hand over to South Korea. The 2018 Winter Olympics will take place in Pyeongchang, between February 9 and February 25. On February 23, Russia celebrates Defender of the Fatherland Day. London will bid an “exuberant” farewell to the 2012 Paralympic Games with a closing ceremony billed by organizers as “a Festival of Flame”. British band Coldplay will lead the show, due to start at 20:30 BST, with a live set reflecting the four seasons. Athletes will be in the centre of the Stadium at the start, and there will be a tribute to charity Help for Heroes. The event ends what organizers say has been the most successful event in Paralympic history. China has finished top of the Paralympic medals table, with 231 medals – 95 gold. Great Britain cemented third place behind Russia, with a tally of 120, including 34 golds. Apart from Coldplay’s music, Sunday’s sold-out ceremony will feature performances by Jay-Z and Rihanna, alongside a cast of around 1,200 performers. “The idea is the coming together as one,” said artistic director Kim Gavin. “We are known as a nation for having the most festivals, it is something that we do – with 600 festivals a year. 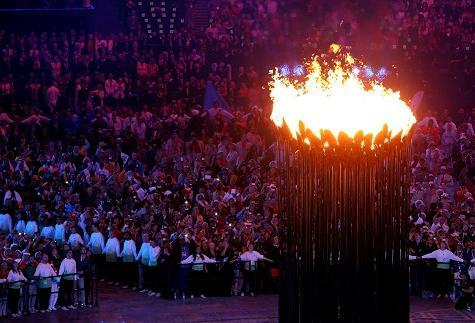 Kim Gavin hinted that would be “a few surprises” and that, “with it being a festival of the flame there will be a lot of flame – and the whole show will be very exciting”. 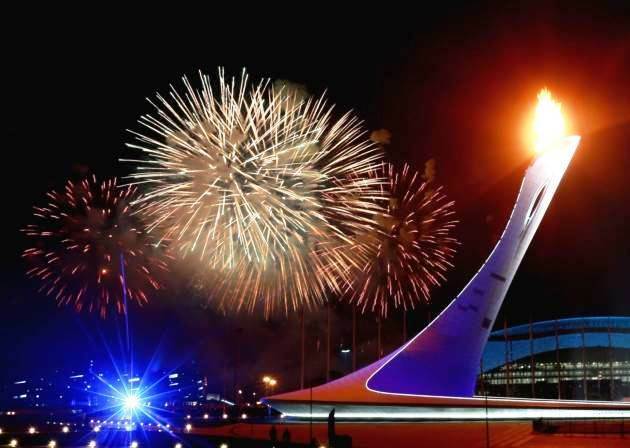 “The Festival of the Flame celebrates the exuberance of festivals and the changing of the seasons,” added 2012 organizers LOCOG. Some 120 child volunteers from east London are expected to take part in tonight’s show, with disabled aerial performers from Circus Scape and The British Paraorchestra.